A video review is at the bottom of the post. 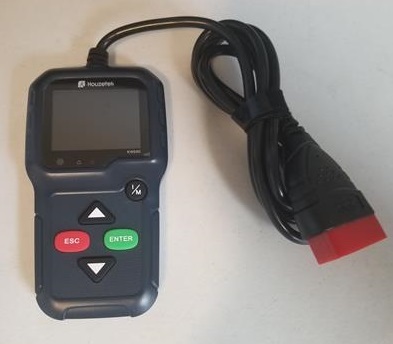 The KW680 OBDII automotive scan tool is a popular low-cost unit. 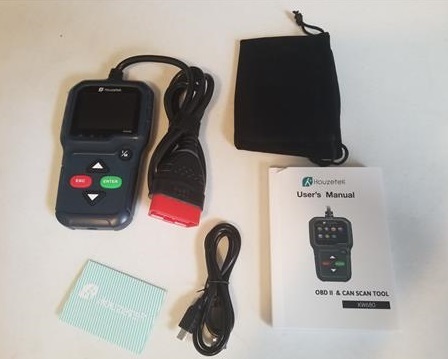 It can read and clear a vehicles engine codes and is easy to use which makes it a good unit for home users or backyard mechanics. The package comes with the OBDII scan tool, carry bag, USB cable, and User Manual. The unit has a simple layout with up down arrows along with Esc and Enter to move about the menu. The bottom has a USB port to connect to a computer for updates or for printing. 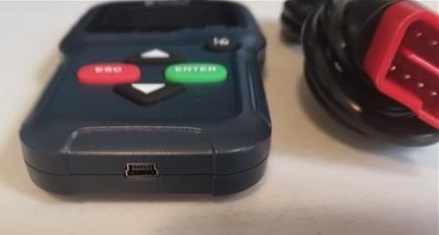 The unit plugs into an OBDII port on a vehicle and draws power from the port with no need for batteries. 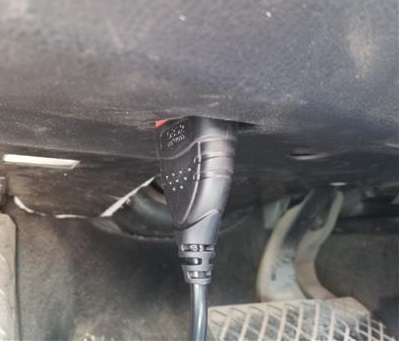 Most all OBDII ports are on the driver side of a car or truck under the dashboard. The KW680 automatically powers on once plugged in. The menu is easy to read with options well laid out. Options include Diagnostic, DTC Lookup, Review, Tool Setup, Print Data, Help, and Bat Check. 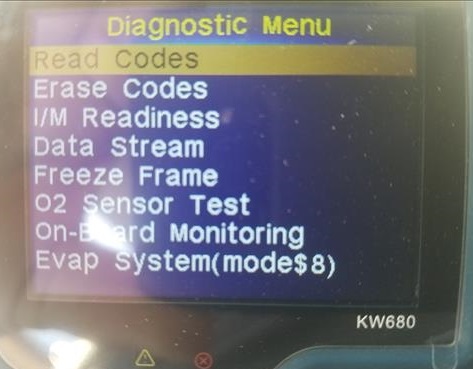 Inside the Diagnostic section has the Read Codes and Erase Code options. It also has I/M Readiness, Data Stream, Freeze Frame, 02 Sensor Test, On-Board Monitoring, and Evap System. 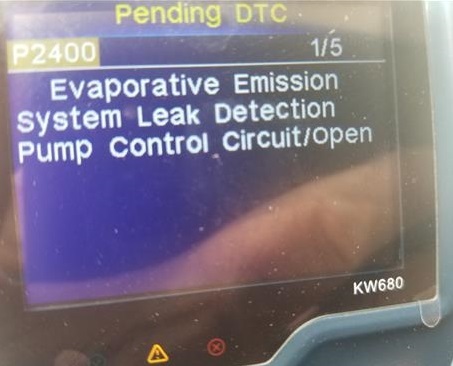 Plugging it into a 2004 Passat with engine problems it gave P2400 Error Code. While the Clear Code option can be used the problem will come back if not fixed. 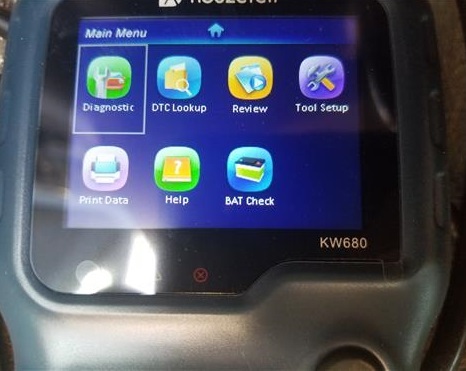 The KW680 OBD2 scan tool is a good low-cost unit that will read and clear engine codes. It has a nice user friendly menu that makes it easy to use. 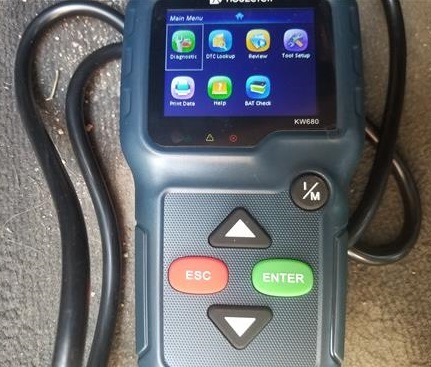 It is a good fit for home users or the part-time mechanic that needs a code reader. Once a code is found using Google is the best way to find how to fix the problem or at least what it will cost.